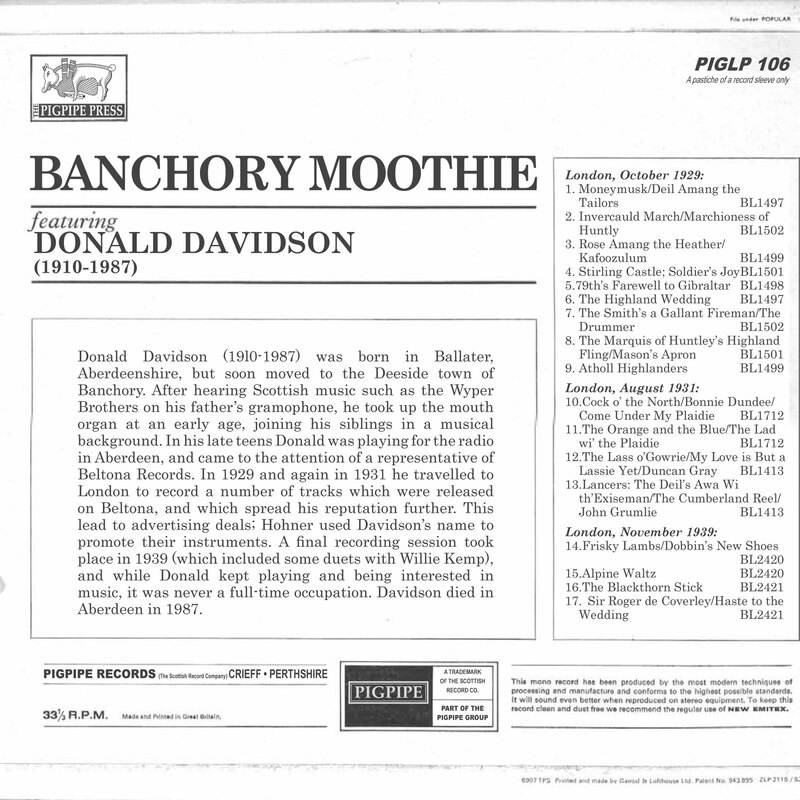 Donald Davidson (1910-1987) was born in Ballater, Aberdeenshire, but soon moved to the Deeside town of Banchory. After hearing Scottish music such as the Wyper Brothers on his father's gramophone, he took up the mouth organ at an early age, joining his siblings in a musical background. 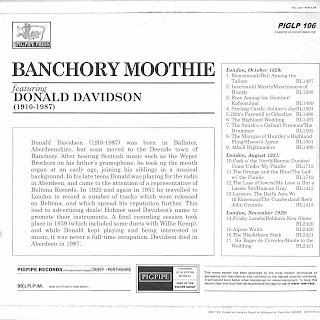 In his late teens Donald was playing for the radio in Aberdeen, and came to the attention of a representative of Beltona Records. In 1929 and again in 1931 he travelled to London to record a number of tracks which were released on Beltona, and which spreads his reputation further. This lead to advertising deals; Hohner used Davidson's name to promote their instruments. A final recording session took place in 1939 (which included some duets with Willie Kemp), and while Donald kept playing and being interested in music, it was never a full-time occupation. Davidson died in Aberdeen in 1987. Hi MG the link to the download doesn't appear to be working yet. I have added a new link - please let me know if this one works better, C.
It worked fine for me. 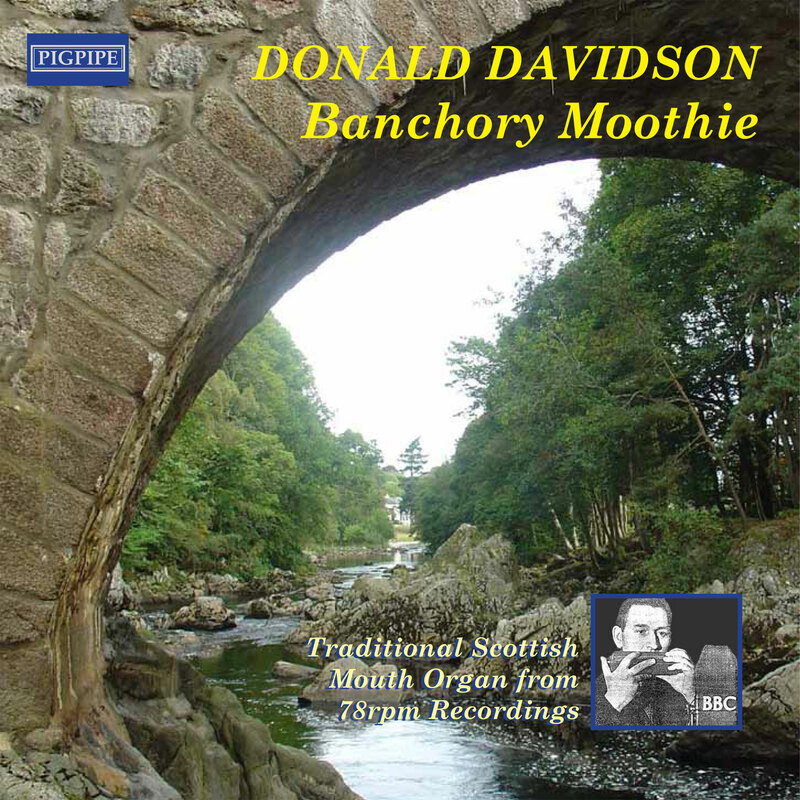 Lovely stuff - some of the most interesting Scottish traditional playing on 78s in my humble opinion. His rhythm is fantastic - could carry a dance on his own, no bother. And his technique, too - those decorations on the B part of Marquis of Huntly's Fling, for example, are lovely and crisp, lending a real edge to the performance. And I love that 'LP sleeve'!